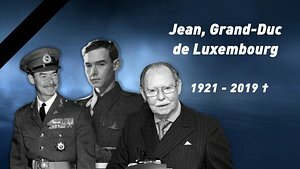 In our ongoing series on Luxembourg's Royals, RTL Today delves into the history of the Grand Ducal family. 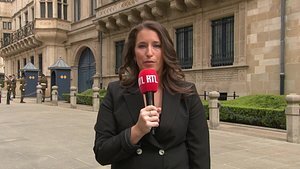 This week's edition takes us from Cuba, to New York, to Geneva and finally to Luxembourg. Maria Teresa Mestre was born on 22 March 1956 in Havana, Cuba, to an affluent family of Spanish descent. From her father's side of the family, she is a descendant of a Spanish noble family from Espinosa de los Monteros. It is believed that Maria Teresa is also a descendant of the medieval Emperor of All Spain, Ferdinand I of León and Castile, in the female line. Maria Teresa's family owned a number of banks and sugar mills, but the family's assets were seized after the Cuban revolution. Despite the Mestre family's noble and wealthy roots, they did not carry any titles. The 1950s were a tumultuous time in Cuba. 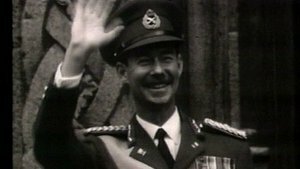 In 1959, rebels fighting for the Cuban Revolution ousted the authoritarian president Fulgencio Batista and simultaneously strengthened the countries ties to the former Soviet Union. In light of an uncertain future in their home country, the family, which included Maria Teresa, her sister Catalina and her two brothers Antonio and Luis, decided to leave Cuba and resettle in New York. At only four years old, Maria Teresa arrived in New York with her family. She attended Marymount School before continuing her education at the Lycée Français de New York. After half a decade in New York, the family moved again - this time to a more permanent home. 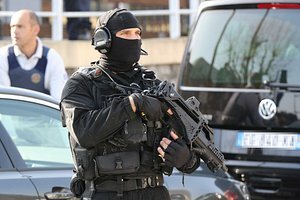 They travelled across the pond and settled down in Geneva, Switzerland. Maria Teresa's father worked in finance while her mother dedicated herself to her young family, conveying not only her faith but also her love of arts and literature to her children. Maria Teresa soon became a Swiss citizen and continued her education at the Marie-José Institute in Gstaad and the Marie-Thérèse boarding school in Geneva, from which she graduated in 1975. It was at the University of Geneva that Maria Teresa met her future husband, Prince Henri of Luxembourg. They both studied Political Science for four years and worked together in the same study groups. Romance blossomed after a long friendship and, recalling the beginning of their relationship, Maria Teresa later said: "The more time we spent together, it was more clear to us that we would spend our lives together." They both graduated in 1980 and the happy couple announced their engagement soon afterwards. The early stages of the couple's relationship had been kept under wraps from the public, but the pair's engagement was finally announced on 8 November 1980 by Luxembourg's Prime Minister Pierre Werner. Making their relationship official wasn't exactly smooth sailing for the young couple. 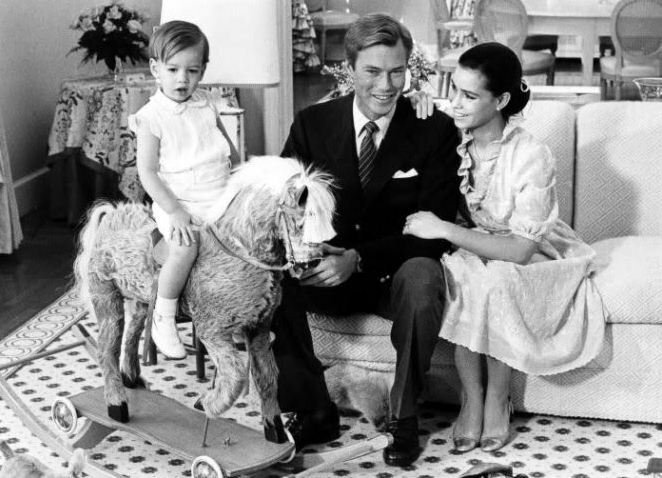 Back in the late 1970s and well into the 1980s, royals such as Prince Henri were still expected to marry within their own (rather limited) social circles of the European nobility and royalty. While Maria Teresa fit the bill as an accomplished young woman from an affluent family of noble descent, the title was missing. 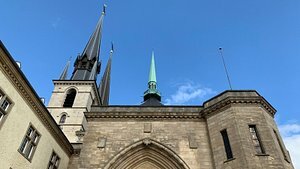 The public was overjoyed with the engagement announcement, but there had apparently been some opposition to the match within the Grand Ducal family. 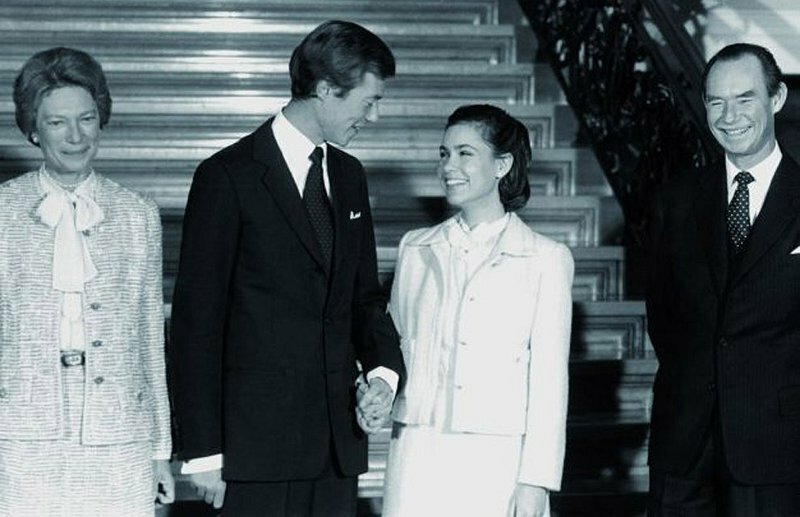 While this has never been officially confirmed, it was rumoured at the time that Prince Henri even offered to renounce his claim to the throne in order to be able to marry Maria Teresa. The newly married couple exits Luxembourg's Notre Dame Cathedral. / © D.R. 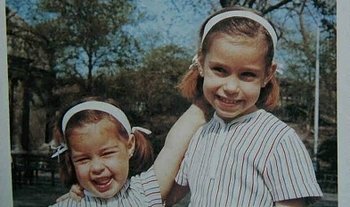 Even though Grand Duke Jean and Grand Duchess Joséphine-Charlotte eventually relented, Maria Teresa later stated in a 2002 interview with Le Soir that she and her mother-in-law had a difficult relationship from the very beginning. She described Grand Duchess Joséphine-Charlotte's disapproval of her, saying that her mother-in-law didn't want her son to marry a "simple commoner". 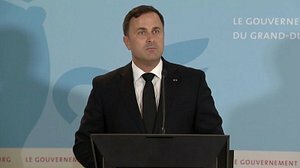 While she said that her father-in-law had always been a "gentle man", Maria Teresa stated that he was unable to prevent his wife's intrigues against her. 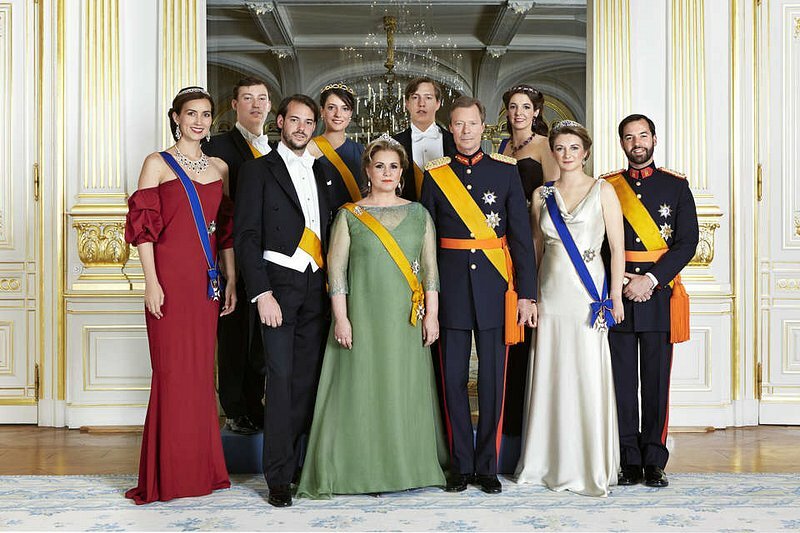 In the interview, for which Maria Teresa had her husband's full support, she even stated that Grand Duchess Joséphine-Charlotte had tried to spread rumours that Grand Duke Henri was cheating on his Cuban wife. 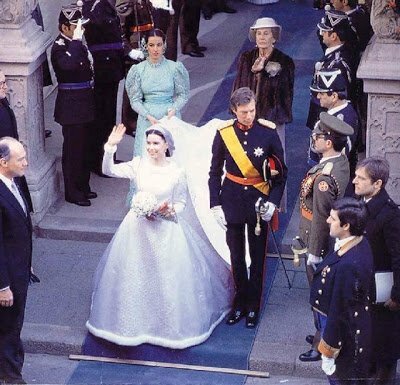 Even though there was obviously no love lost between Grand Duchess Joséphine-Charlotte and Maria Teresa, the young bride married her Prince in a lavish ceremony on 14 February 1981. Her dress was a simple but stunning wedding gown designed by Balmain and she wore the Congo Diamond Tiara, which Grand Duchess Joséphine-Charlotte wore at her own wedding after it was gifted to her by the people of Congo. 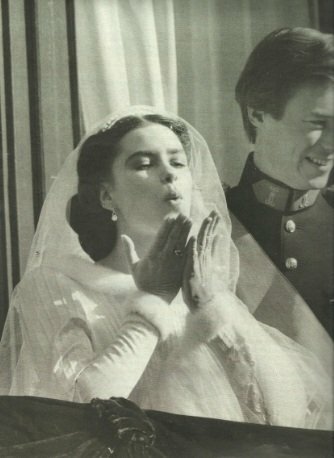 Maria Teresa's younger sister Catalina served as a bridesmaid and the list of wedding guests read like a who's who of the European aristocracy: King Olav V of Norway, King Baudouin and Queen Fabiola of Belgium, Queen Margrethe and Prince Henrik of Denmark, Prince Rainier and Princess Grace of Monaco and Prince Philip, Duke of Edinburgh all attended the service at Luxembourg City's Notre-Dame Cathedral. An overjoyed Maria Teresa blows kisses to the crowds from the royal balcony. 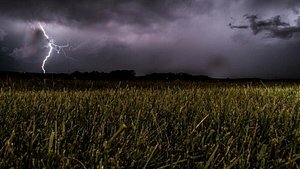 / © D.R. Soon after the wedding, the young couple welcomed their first child Prince Guillaume on 11 November 1981. 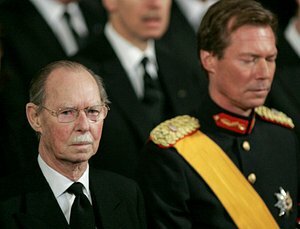 Grand Duke Henri and Grand Duchess Maria Teresa went on to have four more children: Prince Félix (1984), Prince Louis (1986), Princess Alexanda (1991) and Prince Sébastien (1992). 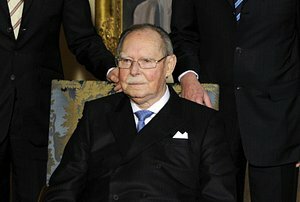 Grand Duke Henri ascended the throne in 2000, which made Maria Teresa the new Grand Duchess of Luxembourg and the first Grand Duchess born outside of Europe. 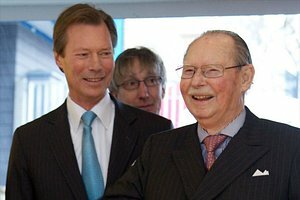 Grand Duke Henri and Grand Duchess Maria Teresa are now proud grandparents to four grandchildren: Prince Gabriel (2006), Prince Noah (2007), Princess Amalia (2014), and Prince Liam (2016). Whether as a private citizen, as Princess consort or as Grand Duchess of Luxembourg, Maria Teresa has dedicated much of her life to charitable foundations. During her time at the University of Geneva, Maria Teresa studied with children suffering from learning disabilities and wrote a thesis on legislation regarding mothers in the workplace within the member states of the European Economic Commission. During her studies, she also dedicated some of her time to caring for the elderly in retirement homes. Marrying into the Grand Ducal family didn't kindle her interest in humanitarian work but rather gave her a new platform to advance the work she had already been doing. She has been a UNESCO Goodwill Ambassador since 1997 and uses her voice to promote the education of women and children across the globe. She supports micro-credits as an opportunity to help the less fortunate improve their financial standing and is an active member of the UNESCO project Breaking the Poverty Cycle of Women in Bangladesh, India, Nepal and Pakistan. Despite her fear of flying, the Grand Duchess has travelled all over the world in support of humanitarian projects. 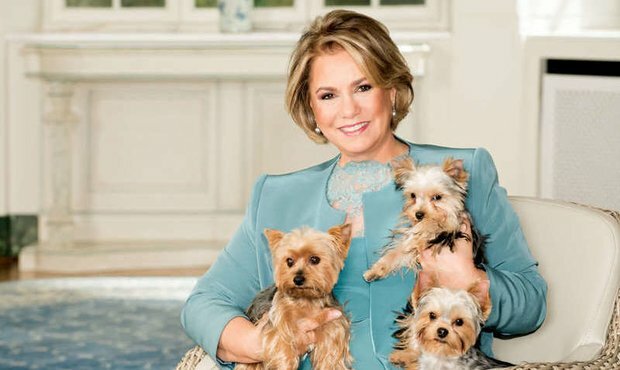 In 2007, Grand Duchess Maria Teresa was named "Eminent Advocate for Children" by UNICEF for her ongoing commitment to helping and protecting children in need. 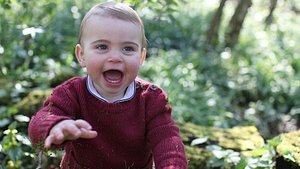 When her son Prince Louis was diagnosed with dyslexia at the age of 10, the Grand Duchess became a vocal advocate for children suffering from learning disabilities. In 2016, Grand Duchess Maria Teresa founded the Troubles d’Apprentissage convention for children with dyslexia and other learning disabilities. 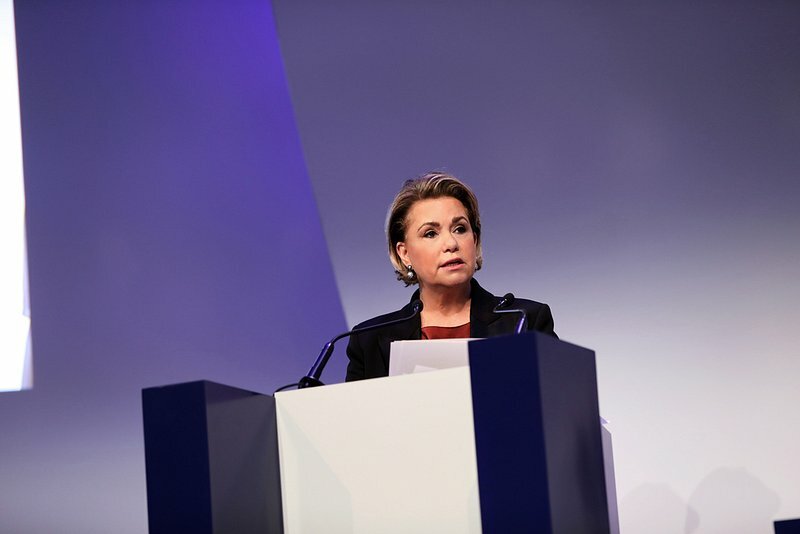 On 16 November, Grand Duchess Maria Teresa was a guest speaker at the Women's Forum Global Meeting 2018 where she spoke about women's rights and violence against women. While the Grand Duchess is very involved in many charitable causes, she also values her privacy and enjoys spending some quiet time with her family. As a young woman, she practised classical dance for 18 years. While she has since hung up her dancing shoes, she still loves singing and playing the guitar. She takes her beloved Yorkies out on extended walks but also likes more strenuous activities such as skiing, skating, and nautical sports. The Grand Duchess is also known to enjoy a good book and her love for literature even gave her the opportunity to sit in the 2016 jury for the Prix des Princes awards for historical fiction in Paris.